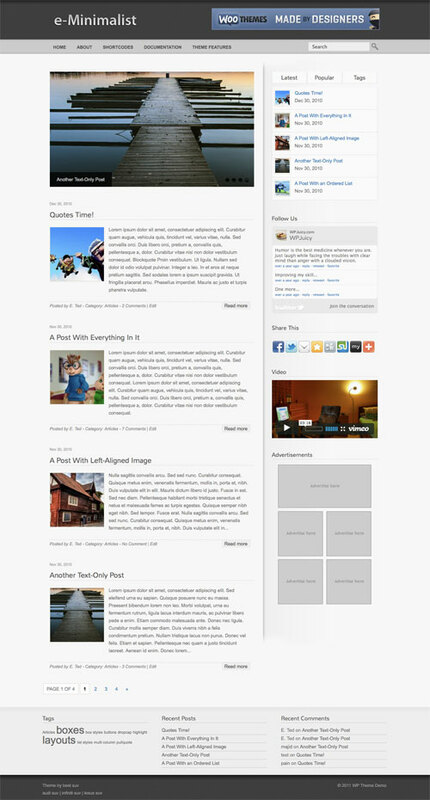 e-Minimalist WordPress Theme. Featuring modern jQuery Powered Sliding Gallery, and theme options page. Compatible for WordPress 3.2. Documentation about how to use this theme included in the zip file.